If you didn’t tune in to Lucia Silva and two other booksellers in conversation with Susan Stamberg on NPR’s Morning Edition this morning, here’s another chance! 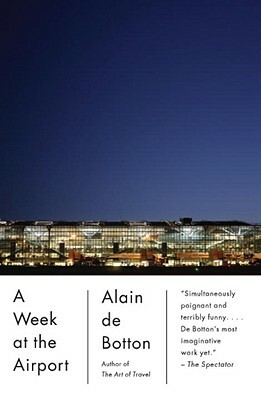 In 2009, Heathrow Airport invited the writer and philosopher Alain de Botton to be writer-in-residence in their newly built Terminal 5. He would live at the airport for a week, occupying a desk situated in the middle of the departure hall, record his impressions, and then compile them into a book. The result is this slim volume that waxes philosophical on all the things airports represent: escape, anonymity, longing, aspiration, impatience. De Botton offers funny, erudite ruminations on such things as the implications of reclaiming our baggage after hours suspended in weightless flight; illusions of perfection upon departing for a family holiday; and the complex emotions involved in “arrivals” and “departures.” At just over 100 pages, this one is perfect for your carry-on. “Give me an atlas over a guidebook any day. 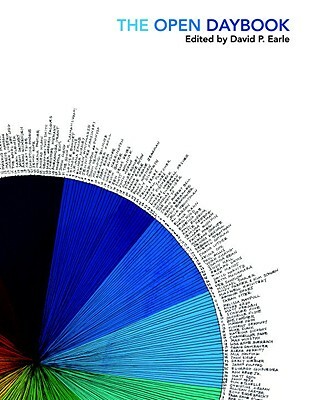 There is no more poetic book in the world,” declares the author, illustrator and designer of this dreamy atlas. Who hasn’t stared at those specks of earth (or ice) in the middle of foreign oceans and wondered what stories they hold? 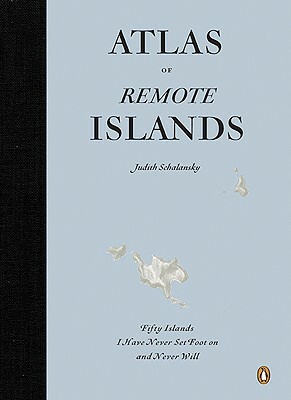 Schalansky uses historic events and scientific accounts as inspiration for the “imagined realities” she creates for each of these 50 real islands. This beautifully illustrated atlas reveals that cartography and the creative imagination have always intersected, spurred on by human wanderlust. This international collection brings together brand-new stories inspired by the oldest literary tradition. 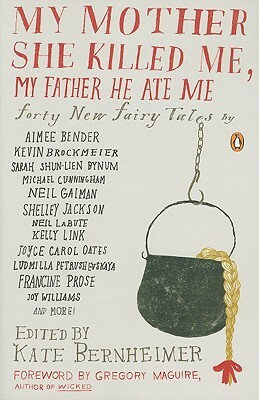 Neil Gaiman riffs on Homer’s Odyssey, Francine Prose remakes Hansel and Gretel, and Joyce Carol Oates and John Updike both take on Bluebeard. Sure, there are princes, talking birds, witches and spells, but there are also 7-Elevens, hipsters and performance artists (to say nothing of the runaways, addicts and drifters named after the Seven Dwarfs). Though mostly anchored in the very real world, all of these stories are sprinkled with a beguiling darkness that recalls the enchanting lilt of our earliest story times. David Earle assigned 365 artists each a day of the year and gave them 24 hours to create a work of art dedicated to that date. Both an art object and a functional perpetual calendar, the collection inspires viewers to stretch their creativity and reimagine the significance of their next 24 hours. Each page has a blank space where one might jot down a poem, sketch a doodle, or paste some ephemera, reminding us of our own capacities and desires to make, to do, to engage beyond our appointments and responsibilities. 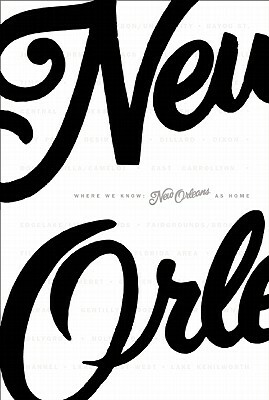 This beautifully designed collection brings together essays from New Orleanians who stayed to rebuild their lives in a broken city, and those who chose to leave. Along with historical references, maps, photographs and quotes from both the famous and unknown, Where We Know creates a mosaic of the ultimate mosaic city. Whether writing about a baby born in the midst of reconstruction, wrestling with the many voices of the city’s tangled heritage, or looking back from a new home in Los Angeles, these writers illuminate the city’s past and the present in a gritty homage fit for natives and foreigners alike. Designed as though Chin Music Press/Broken Levee Books intends to singlehandedly resurrect the art of bookmaking, Where We Know is a book you’ll want at your bedside and on your coffee table. Wherein you are updated, invited, forewarned and informed. The (A)Musings page has been updated. Hurray for procrastination which must end sometime! Three weeks’ worth of new stuff for you to peruse. Currently up on the board: What have you done that you never thought you’d have the courage to do? People have put up some of the most interesting answers yet and we can’t wait to post them here next week– you should add your own here and they’ll be included. In other news, our very own Lucia Silva will be chatting with Susan Stamberg on Morning Edition, on all of your local stations, sometime in the very near future. We’ll keep you updated on the air date. Can’t wait to hear what she and her cohorts will be recommending for this season of giving! Hint: they will be interesting and unique titles, guaranteed to surprise you, not recycled from some bestseller list. And a hurray for that, as well. We have another epic list from Kevin in the works. You can look forward to that in the next couple of days. Tomorrow, Saturday, December 4th, from 5-9pm is the Annual Tujunga Village Holiday Fair! Bring the whole family. 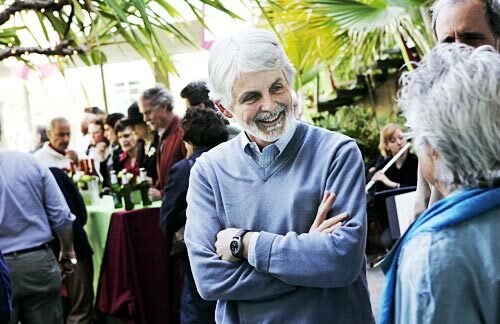 We’ll be waiting for you, along with all the other lovely people on our block, with smiles and food in hand. And lots of fun to offer up. Have you seen our children’s section, lately? And all the new books? And all the cool, new gifts? And do you know what fun it will be just to wander along the wonderland-transformed street? Okay, so just come. Totally unrelated and completely out of the blue: someone very close to me, I won’t ever tell you who because I’m pretending it’s not true, just got an e-reader, I won’t tell you which one. And… it’s confirmed! IT MOST DEFINITELY DOES NOT SMELL, FEEL, LOOK OR READ LIKE A BOOK. Oh, and one more thing. Guess who’ll be wrapping your gifts when you shop here. Go ahead and take a wild guess. Of Dutton’s Books in Brentwood. The amount of fun we’ll be having is hardly describable.